Bluesky Certification, a new service specialising in the certification of doors, windows, glass and fire resistant products has been launched by Simon Beer. Simon said: “Our conversations with customers have identified a need for credible certification, which is coupled with a higher level of customer support than that which is normally offered”. 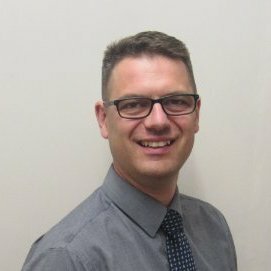 Simon is already well known in the industry and has over 16 years’ experience in developing and running certification schemes, having worked for BM TRADA Certification as Product Certification Manager. During his time at BM TRADA, Simon developed and operated the majority of the BM TRADA Q-Mark door, window and glass schemes, as well as implementing services such as IGU testing and training. One of the key selling points of Bluesky Certification is the ability to work with customers to enable them to use their certification to progress their business. Simon is used to working closely with customers, and as such has a very good working knowledge of how the industry works, as well as having a high level of technical and regulatory knowledge. Please visit www.blueskycert.com or call 01753 303828 for more details.